It is a commonly held conviction among the Turks that the Russian leaders since Peter the Great have always desired access to the “warm waters” of the Mediterranean. By the same token, such a Russian move to the South would certainly be detrimental to Turkey’s interests. Imperial Russianever possessed a navy formidable enough to make this a reality. Its successor, the Soviet Union, briefly entertained the idea of building a large navy under Joseph Stalin. The idea was shelved after World War II. Throughout much of the Cold War, the Eastern Mediterranean remained a mare nostrum for the US beginning with the formation of the Sixth Task Fleet in 1948. Moscow’s decision to challenge the naval power hierarchy there was a direct consequence of the Cuban Missile Crisis in 1962.Two decades later, the Sovmedron (Soviet Mediterranean Squadron) or the Fifth Eskadra ocassionally enjoyed superiority over its nemesis during periods such as the Yom Kippur War in 1973 with its reinforcements from the Black Sea fleet. Back then, “the Soviet naval presence in the Mediterranean ... represented the key test for its deployment beyond the coasts of the Soviet home-land and its neighboring seas.” However, when Egypt shifted its orientation towards the US, the Soviets lost their docking rights in Egyptian ports in 1976. Syria then became the Soviets’ most imporant partner in the Eastern Mediterranean. Turkish-Israeli military cooperation was meant to secure Ankara against a conflict on two and a half fronts with Greece in the West, Syria in the East, and the PKK inside Turkey. In contrast to its inferior status in the Eastern Mediterranean, the Soviet Navy was unrivalled in the Black Sea during the Cold War. There, the political landscape favored the Warsaw Pact with Turkey as the only NATO member among the littorals, which included two additional Warsaw Pact members – Bulgaria and Romania. The Soviets never shied away from displaying their disdain for non-littorals’ even temporary presence in the Black Sea as per the Montreux Convention of 1936. The US Navy was conducting maritime operations in the Black Sea starting in 1960 and by the 1980s US warships were sailing through the Turkish Straits twice or three times a year. In 1988, the USS Yorktown was bumped by Soviet destroyer Bezzavetnyi while it was performing a freedom of navigation operation with the USS Caronoff Crimea in the Black Sea. In view of the Soviet control of the Black Sea, the Turkish Navy’s main task was to deny access to the Turkish Straits in the event of hostilities. Submarines were the weapon of choice to counter Soviet superiority there. Similarly, the Aegean formed the second line of defense as it was within easy reach of Greek and Turkish naval and air assets. Securing control of the Eastern Mediterranean was the US Sixth Fleet’s responsibility. Such division of responsibilities in a way gave Turkey and Greece a free hand to deploy their naval assets against each other rather than against the Warsaw Pact. NATO’s Southern flank was increasingly marred by the contending claims of Turkey and Greece in, over, and under the waters of the Aegean. For a while, Turkey was hard pressed to maintain credible naval deterrence against its Northern and Western neighbours simultaneously. At that time, the Turkish Navy had modest capabilities. The aging ex-US Navy destroyers optimized for anti-submarine missions formed the backbone of its surface fleet for missions in the Aegean and in the Eastern Mediterranean. In contrast, it has recently built a very modern guided missile, fast attack fleet earmarked for national contingencies. The Turkish Navy preferred such small surface combatants against the Dutch Kortenear class (Greek Elli class) frigates the Greek Navy began to commission in the early 1980s. The Turkish submarine service was operating a mixed fleet of former US Navy types and newly-built German Type 209 class (Turkish Ay class) submarines. Its amphibous fleet and a single amphibious regiment (later upgradeded to brigade level) represented its modest power projection capability. This combat force was backed by a token naval aviation unit operating a handfull of ubiquitus AB204 and AB212 ASW helicopers and a squadron of former US Navy Grumman S-2E Trackers. Turkey and Greece came to the brink of war over the delination of the continental shelf in the Aegean in 1976 and 1987. Therefore, in the last decade of the Cold War, Greece replaced the Soviet Union as the principal threat and preoccupation for Turkish naval organization and procurement plans. Concurrently, the Turkish navy began to shift its focus away from the Black Sea, a major naval theater of the Cold War era, towards the Aegean Sea for contingencies involving Greece and Cyprus. A new naval base was built in Aksaz, Marmaris, across from the Greek island of Rhodes. From 1991-onwards, the Soviet Union collapsed and disintegrated. At the time of its collapse, the Soviets possessed the largest navy ever assembled by any European power. This development had an immediate and profound impact on the naval situation in the Black Sea and the Eastern Mediterranean. In the former, the political landscape radically altered with the succession of the Soviets by three new states – Russia, Ukraine, and Georgia. The potent Soviet Black Sea Fleet of the Cold War years was divided between Russia and Ukraine after protracted negotiations. Moreover, Russia did not have sufficient funds to sustain combat readiness of the naval assests it inherited from the Soviet Union. In liquidating the Soviet naval assests, Russia rushed the newly commissioned aircraft carrier Admiral Kuznetsov out of the Black Sea before the Russian-Ukrainian negotiations on the fate of the former Soviet fleet began so that it would not be included in the final deal. Though the Montreux Convention explicitly prohibits passage of aircraft carriers through the Turkish Straits, Ankara did not raise any objections to its transit for two reasons. Firstly, it was not called an aircraft carrier but a “heavy aircraft carrying cruiser” by the Soviets. Technically it was an aircraft carrier, but legally it was not. Secondly, the Turkish Navy was more than happy to see such a capable surface unit leaving the Black Sea. Without it, Turkey stood a better chance of remaining at the top of the regional naval power hierarchy. The crisis with Syria marked the apex of Turkey’s military and naval ascendancy in the Eastern Mediterranean. The end of the Cold War caught the Turkish Navy on a growth trajectory. Surface fleet modernization and expansion was underway with newly ordered German designs such as MEKO 200T Track I, and Track IIA, and IIB frigates. The submarine fleet’s aging units were phased out and gradually replaced with German 209/1400 class boats together with concommitant improvements in replenishment at sea and naval aviation capabilities as well. While new frigates were under construction, eight Knox class frigates were supplied by US to serve as a stop gap measure. The decline of the Soviet Navy, Europe’s enthusiasm to reap the benefits of the so called peace dividend, and finally a moderate reduction in the US naval presence in the Eastern Mediterrenan in response to the collapse of the Soviet Union all contributed to the rise of mid-sized naval powers in the region. In other words, a power vacuum emerged and Turkey was poised to fill it, at least in part, thanks to its transformation from a whitewater navy to a bluewater navy. This transformation was first outlined in a pamphlet entitled, Açık Denizlere Doğru (Towards the Blue Waters) in 1997. The pamphlet was well ahead of its time due to its emphasis on the vitality of foreign trade for post-Cold War Turkey. In other words, during the Cold War, Turkey’s priority was on territorial security. Hence, the Navy’s primary mission was defined as an extension of this priority. However, in the 1990s, the Navy began to grow out of this mission by adding “welfare” aspects to the definition of Turkey’s national security interests. Turkey’s dependence on global markets provided the impetus for this change. If welfare protection provided one of the justifications for the Turkish Navy’s interest in bluewater missions, the other one was contributing to multinational peacekeeping/peace-enforcement operations, seen particularly during the disintegration of Yugoslavia in the early 1990s. The latter was also used to justify the Navy’s ambitions of fleet expansion, including even a light aircraft carrier. In the second half of the 1980s, modernization of the Turkish Air Force with the fourth generation F-16C/D multirole fighters also contributed qualitatively to the Turkish Navy’s capabilities. The Turkish Air Force’s ability to provide tactical air support for maritime operations (TASMO) was enhanced further with the procurement of the KC-135R tanker aircraft in 1995. For the first time in a long while, Turkey gained a qualitative, and to some extent quantitative, edge over its neighbors in terms of air power. Also in this period, Turkish foreign policy was marked by the use of force or threat of force in pursuit of its national interests. How force was employed differed from one context to another. For instance, Turkish military activism was more constrained in the Balkans than in the Aegean or the Eastern Mediterranean. In the former, Turkey had to act multilaterally with its NATO partners in tackling the fallout from the Yugoslav conflict. For instance, NATO deployed its standing naval force in the Mediterranean (STANAVFORMED) to the Adriatic during the Yugoslav crisis in the early 1990s. This force originated from NATO’s Naval on-call force, Mediterranean (NAVOCFORMED) inaugurated back in 1969. Turkey had become a contributor in 1971. Originally, this naval force was activated twice a year. However, it was called in before the First Gulf War in December 1991 and was subsequently transformed into a standing naval force and renamed STANAVFORMED in April 1992. This marked the begining of permanent NATO naval presence in the Mediterranean with Turkish participation after the Cold War. This force served as the core around which NATO’s naval missions in the region has been evolving in parallel with international developments. After 9/11, the US and NATO roamed freely in the region and conducted maritime operations without regard to the objections of others. Unlike in the Balkans, in other regions Turkey was willing and able to act unilaterally and was extremely assertive in most cases. To begin with, Turkey engineered a crisis involving a major naval demonstration in the Aegean to draw international attention to the consequences of Greece’s extension of its territorial waters beyond six miles. The crisis was carefully timed to take place in November of 1994, the date on which the United Nations Law on the Sea Convention (UNCLOS) III took effect. A year later, Turkey and Greece came to the brink of war over the status of the twin of Kardak/Imia in the Aegean Sea. This was the second case when Turkish naval power was deployed and employed coercively against Greece in the 1990s. While a war between the two NATO members was only averted by the last minute intervention from Washington, the crisis prompted a covert US naval arms embargo on Turkey. There were long delays in the delivery of Perry class frigates and S-70B Seahawk naval helicopters to Turkey. In the Eastern Mediterreaan, Turkey laid the foundations of a new regional order with Israel. Turkish-Israeli military cooperation was meant to secure Ankara against a conflict on two and a half fronts with Greece in the West, Syria in the East, and the Kurdistan Workers’ Party (PKK) inside Turkey. In January 1998, the naval aspect of this emerging regional order was put in place during the first joint Turkish-Israeli naval exercise, the “Reliant Mermaid.” It was conceived as a search and rescue exercise rather than a combat exercise. “Reliant Mermaid” was preceeded by a Greek Cypriot announcement that they would procure S-300 long-range air defense missiles from Russia. In hindsight, it can even be taken as a precursor to the establishments of the A2/AD (anti-access/area denial) bubble/sphere in the Eastern Mediterranean. Ankara reacted very strongly to the Greek Cypiot move and declared from the onset that it would strike the missile batteries if they were deployed. This threat of force worked and the Greek Cypriots backtracked on their deal with Russia. They eventually settled for much more moderate capabilities. The S-300s were installed in Crete instead of Cyprus. The outcome of the S-300 crisis reflected the new naval balance of power in the region. As the supplier, Russia could do little to challenge Turkey’s show of force while Turkey could effectively exploit the power vacuum the two superpowers had left behind for two reasons. First, it enjoyed naval and air superiority over its neighbors, with the notable exception of Israel. Second, Turkey was able to enlist Israel on its side, which served to ratify the naval power hierarchy in the region. Again in 1998, Ankara turned its attention to Syria. The Damascus regime was harboring Abdullah Öcalan, the leader of the outlawed PKK, which had been waging a terror campaign against Turkey since 1984. In October, Ankara gave an ultimatum to Damascus to turn Öcalan over to Turkey. This ultimatum coincided with massive Turkish troop deployements to the border between the two countries. Also, one national and one NATO military exercise were conducted in the South. Ankara once again practiced coercive diplomacy with mixed success. The crisis ended when Syria allowed Öcalan to leave Damascus for a third country rather than delivering him to Turkey. Ankara was ready to escalate the crisis to the point of imposing a naval blockade off Syria. Incidentally, Ankara announced during the crisis that the “Reliant Mermaid II” exercise would be conducted in October 1998. Russia was not a factor taken into account by Ankara throughout the crisis although Syria was formerly the most valuable Soviet client in the region. At any rate, the crisis with Syria marked the apex of Turkey’s military and naval ascendancy in the Eastern Mediterranean. However, this was a very short-lived ascendancy that could not be sustained for natural, economic, and political reasons. For much of the 1990s, Russian naval activity in and out of the Black Sea remained extremely modest compared to the Soviet era. The natural reason was the devastating earthquake that hit a number of urban centers simultanously on 17 August 1999. The epicenter was located in close promixity to Turkish Navy’s main base in Gölcük, Izmit in the Marmara Sea. Gölcük was also the home of the Fleet Command, the backbone of the Turkish Navy. The so-called Marmara Earthquake took a heavy toll on the Navy’s human resources with 420 fatalities, and dealt a considerable blow to its basing and shipbuilding capabilities. The Turkish Navy’s main strike force had to be dispersed to other bases around the country. At one point, relocation of the Fleet Command from Gölcük to Aksaz in the Aegean coastline was contemplated. Nevertheless, the Turkish Navy recovered relatively quickly from the impact of the earthquake. However, the worse was yet to come for the Navy in the shape of homegrown financial crisis in 2000/2001. Although the earthquake mildly crippled Turkey’s ability to practice coercive diplomacy, as a blessing in disguise it served as a catalyst to a rapprochment between Turkey and Greece which has survived to this day. Working in tandem with Turkey’s EU candidacy in December 1999, the rapprochment led to descalation in the Aegean with little, if any need left for coercive diplomacy or the use of force by either party. Meanwhile, for much of the 1990s, Russian naval activity in and out of the Black Sea remained exteremely modest compared to the Soviet era. The only noteworthy Russian naval move took place after NATO’s Kosovo bombing campaign. Moscow dispatched several amphibious ships to the Aegean to disembark the Russian contingent of the Kosovo Force (KFOR) at the Greek port of Salonica. Despite the rumors that Russia would deploy a sizeable fleet down to the Mediterranean to demostrate its discontent with NATO’s uniletaral action in the former Yugoslavia, only a single intelligence gathering ship, Lyman, made a brief appearance. The 9/11 terrorist attacks profoundly impacted the regional balances. 9/11 was followed by US interventionism across the globe in the name of the “War on Terror” (WoT). In the process, the US became Turkey’s next door neighbor after its occupation of Iraq in 2003. And the US was a neighbor bent on challenging and changing the status quo. Moroever, the US Navy made a spectacular comeback to the Eastern Mediterranean that radically altered the naval power configuation in the region. NATO, for its part, launched Operation Active Endeavor in support of the US WoT in the Mediterranean. In the post-9/11 world, Turkey had to be content with significantly restricted latitude for naval activism in the South. Having witnessed the destabilizing effect of US revisionism in a neighboring region, Ankara took great strides to develop regional security architecture in the Black Sea to avoid a similar situation. Throughout the 1990s, Ankara enthusiastically supported NATO’s enlargement, including the full membership for Bulgaria and Romania. The expectation was that NATO enlargement would enhance security and stability in the Black Sea. However, the initial enthusiasm gradually gave way to a more cautious approach to the prospects for a greater NATO. Consequently, Ankara sponsored a number of regional security initiatives in the Black Sea littoral, from BLACKSEAFOR to Black Sea Harmony. These intiativatives set the framework within which a new regional naval security architecture could take shape. They were meant to contain NATO, US involvement to be precise, in the Black Sea in the context of the WoT, on the one hand, and to help sustain Turkey’s primacy in the naval hierarchy of power in the Black Sea on the other.Such inititiatives were very much in tune with the “zero problems with neighbors” doctrine of the newly-elected Justice and Development Party’s (AKP) foreign policy. Shifting naval balances prompted a reconsideration of Turkey’s policies and priorities in adjacent maritime environments. The economic crisis in 2000/2001 had already crippled the defense budget with an attendant decline in Turkey’s military and naval activism. As a party with roots in Islamism, the AKP preferred to de-emphasize military means in its foreign policy. It should be noted that Turkish naval power did not decline in the first decade of AKP rule. However, it was unable to keep up with the expanding naval capability of other regional and global actorsin the Black Sea and in the Eastern Mediterranean. A set of issues contributed to the relative decline of the Turkish Navy in the first decade of the new millenium in the regions of significance to Turkey. First and foremost was the return of the US and NATO to the Mediterranean. After 9/11, the US and NATO literally roamed freely in the region and conducted maritime operations without regard to the objections of others. NATO’s Operation Unified Protector in 2011 against Libya is a case in point. Turkey eventually became one of the largest contributors to this NATO operation with air and naval assets. Indeed, the Mediterraean seemed like a NATO lake or a Mare Nostrum for NATO at that time. However, it was also the last time NATO was able to act without regard for the concerns and interests of others. In summary, US and NATO involvement in the region forced Ankara to act with restraint and avoid unilateralism. The second issue was delays in major naval procurements. Further expansion of the Turkish Navy hinged on materialization of ambitious projects for indigenously designed and built warships such as MILGEM ASW corvettes and TF2000 Air Defense frigates. While the former bore fruit, prospects for progress on the TF2000 project do not seem to be promising in the foreseeble future. Also to be delayed significantly was a new batch of the latest-generation air independent propulsion submarines. The third issue related to human resources. The Turkish Navy lost a sizeable group of its flag and junior officers to a number of criminal cases, including Ergenekon and Balyoz. In effect, it has suffered close to a complete purge of its most experienced and vigilant ranks. This must have had a negative impact quantitatively and qualitatively on the combat readiness of the Turkish Navy. The fourth factor was the deterioration of relations with Tel Aviv. The all-time low in bilateral relations was hit in May 2010 when Israeli commandos killed nine Turkish citizens aboard M/S Mavi Marmara while trying to stop the aid flotilla en route the Gaza. Published accounts suggest that the Turkish Fleet commander was asked by the government if he could confront the Israeli naval units in the area. Israel is not a significant naval actor in and of itself in the Mediterranean. However, it proved that it could affect the Eastern naval situation in a number of ways. Washington earmarked three Perry class frigates for transfer to the Turkish Navy in view of delays in the commissioning of indigenously built corvettes and frigates. The transfer required the approval of the US Congress. In view of the anticipated difficulties in obtaining congressional approval due to the Israeli or Jewish Lobby, the US administration reportedly shelved the idea temporarily. The fifth factor is the decline in Turkish air power. Again, this decline is relative and points to Turkey’s failure to maintain technological superiority over its neigbors – Russia in particular. The failure has resulted partly from exteremely long delays in the delivey of the F-35A Joint Strike Fighter, which was beyond Turkey’s control. Unlike in the 1990s, the Turkish Air Force’s ability to provide air support to maritime operations can be more easily challenged and threatened by others, including but not limited to Russia. The sixth and last factor is Russian military modernization whose results have surprised even the most alarmist observers. Turkey began to feel the impact of the tensions in Russia-West relations in the Black Sea towards the end of the first decade of the new millenimum. Until 2008, many elements of post-Cold War European security arrangements such as the Organization for Security and Co-operation in Europe (OSCE), the Treaty on Conventional Armed Forces in Europe (CFE), and NATO’s Partnership for Peace (PfP) program were still in place and relatively effective in managing the interaction between NATO members and Russia. In 2007, Russia withdrew from the CFE treaty. Also in 2007, Moscow resumed long distance recconaissance flights near the territory of NATO members. Similar flights began to take place along Turkey’s Black Sea coastline. Turkey responded by sending fighter aircraft for identification and interception purposes. Despite the revival of the Russian-Turkish aerial rivalry, naval cooperation survived until the Russian-Georgian War of August 2008. This war signified the turning point for Russia and added momentum to its military modernization and transformation efforts. Where Does the Turkish Navy Stand Now? Compared to the first decades after the Cold War, Turkey’s naval standing in the Black Sea, the Aegean, and in the Mediterranean Sea has declined in varying degrees. The decline is more profound and pronounced in the Black Sea and the Mediterranean than in the Aegean. The Black Sea was the first region where Turkey lost its naval superiority to Russia. In November 2010, Turkey endorsed NATO’s new strategic concept which called for the development of a ballistic missile defense system (commonly known as “the missile shield”). Moscow was against the idea on the grounds it could radically alter nuclear balance against Russia. Russian apprehensions grew with Turkey agreeing to the deployment of an X-Band missile detection and tracking radar in Turkey’s southeast as part of NATO’s new missile defense structure. Another development raised Russia’s concerns is the US Navy’s Aegis destroyers putting in frequent appearances in the Black Sea as the seaborn component of this new missile defense system. Russia countered this move by deploying S-300 and the latest S-400 air defense missiles in its Southern Military District from 2012-onwards. The 2014 crisis in Ukraine put the final nail in the coffin of the regional security architecture Turkey had been championing in the Black Sea. With Russia’s annexation of the Crimean Peninsula, Moscow was able to build a formidable A2/AD sphere covering the Black Sea littoral and extending to the shores of Turkey. Russia then began to voice stronger opposition to the naval presence of non-littoral states in the Black Sea. Moreover, Russia’s added new weight and momentum to its naval reconstruction program for the Black Sea fleet. The plan foresaw the addition of six new submarines, six frigates, and four new corvettes armed with cruise missiles until 2020. This signified a tripling or even quadrupling of Russia’s naval strength in the Black Sea. It should be noted that during the crisis in Crimea, Turkey carefully assumed a low profile. For instance, Ankara did not cancel or postpone plans to send the Turkish Naval Task Force “Barbaros” of two frigates, a corvette, and a replenishment ship for their trip around the Horn of Africa during this time of high tensions between NATO and Russia. By sending a naval force of this size on such a distant mission, Ankara showed that it was not interested in deepening the crisis between Russia and NATO, or did not want to take sides. Hence, Russian-Turkish political, economic and naval relations survived the Crimean crisis with perhaps some loss of confidence. If the Arab Sping’s spread to Libya helped NATO reaffirm its control of the Mediterrean, its envelopment of Syria provided Russia with the pretext for asserting its power and status as a significant naval power there. The Russian naval presence in the Eastern Mediterranean peaked with six warships in July 2013. Subsequently, the Russian naval deployment turned into a standing naval task force with two major surface combatants, one support ship and a submarine operating off Syria. In comparative terms, this is not an impressive array of naval capabilities that could alter the regional naval power hierarchy all by itself. Yet, the real challenge to Turkish and NATO naval power in the region is posed by the A2/AD sphere and air power that Russia has managed to build up by taking advantage of the Syrian conflict since 2012. When a Russian SU-24 Fencer bomber was shot down by Turkish F-16s on 24 November 2015, Russia grabbed the opportunity to move a S-400 SAM battery to Hmeymim airbase near Latakia. This deployment greatly extended Russia’s ability to control and track airspace over the Mediterranean and Turkey (all the way up to Ankara in the North). This may not have bolstered Russia’s offensive capabilities in the region. Nevertheless, its ability to deny others, including NATO and specifically Turkey, the ability to conduct offensive operations in the region has increased exponentially. This summed up to new and real problems for Turkey and its NATO allies in the Eastern Mediterranean. Meanwhile, anti-shipping missile drills conducted by Russian combat aircraft taking off from Syria’s Hmeymin airbase point out to a more menacing, if somewhat symbolic, offensive capability. As for the Aegean, the naval balance-changer is a spillover from the Syrian conflict. NATO’s deployment of its SNMG2 (STANDING NATO MARITIME GROUP 2), formerly STANAVFORMED, in the Aegean to help the EU tackle the refugee crisis is unprecedented in a number of respects. For one thing, it is the first time NATO has had such a large maritime footprint in a sea where two of its members have contending claims. Second, Ankara and Athens allowed NATO warships to operate in their territorial waters in the Aegean. This marks a major departure from the entrenched positions of the respective parties. Given that the Aegean waters are confined geographically, it may not offer the most suitable maritime operational environment for NATO warships optimized for combat operations in bluewaters. Hence, SNMG2 presence in the Aegean could be viewed inter alia as an indirect remedy to the dramatic changes in naval balance of power in the Black Sea and Mediterranean. Turkey’s ability to act on its own in the three littorals surrounding its landmass is extremely limited today. Shifting naval balances prompted a reconsideration of Turkey’s policies and priorities in adjacent maritime environments. The change in the Turkish position is the most striking in the Black Sea. In the past, Turkey tried to contain US and NATO involvement there and differed from other NATO-member littoral states like Bulgaria and Romania. Since 24 November 2015 aircraft shooting incident, Turkish Air Force and Navy have been operating in the Black Sea and the Mediterranean under the threat of Russian revanchism. Therefore, Turkish President Recep Tayyip Erdoğan’s call for NATO’s help to prevent the Black Sea from becoming a Russian lake is the ultimate expression of the fact that the days of autonomous Turkish political, diplomatic, and naval activism in the surronding regions are over. Milan L. Hauner, “Stalin’s Big-Fleet Program,” Naval War College Review, Vol. 57, No. 2, (2004), pp.87-120. Fiorella Operto, “Soviet Navy moves to rule the Mediterranean,” EIR International, Vol. 11, No. 5, (February 7, 1984), p. 32. Lawrence Sondhous, Navies of Europe: 1815-2002 (London: Longman, 2002), pp. 308-9. John H. Cushman, “2 Soviet Warships Reportedly Bump U.S. Navy Vessels,” New York Times, 13 February 1988. George E. Thibault, “The Military Implications for NATO of a US Withdrawal from the Region,” in Jane M. O. Sharp (ed. ), Europe after an American Withdrawal: Economic and Military Issues (Oxford: Oxford University Press, 1990), p. 391. Cem Gürdeniz, Hedefteki Donanma[The Targeted Navy](Istanbul: Kırmızı Kedi Yayınevi, 2013), p. 190-194. “Açık Denizlere Doğru: Türk Deniz Kuvvetleri Stratejisi,” [The Strategy of Turkey’s Naval Forces]Deniz Kuvvetleri Dergisi, Supplement, No. 570 (November 1997), p. 18. Turkey’s aircraft carrier ambitions had to be shelved for more than a decade due to home grown economic crisis in 2000/2001 and the newly elected JDP’s initial desire to de-militarize foreign policy. This startegy paper can be taken as an early expression of Turkey’s transformation into a “trading state.” For Turkey as a “trading state”, see Kemal Kirişçi, “The Transformation of Turkish Foreign Policy: The Rise of the Trading State,” New Perspectives on Turkey, No. 40 (Spring 2009), pp. 29-57. Ofra Bengio, The Turkish-Israeli Relationship: Changing Ties of Middle Eastern Outsiders (New York, Palgrave, 2004), pp. 167-173. Damla Aras, “Similar Strategies, Dissimilar Outcomes: An Appraisal of the Efficacy of Turkey’s Coercive Diplomacy with Syria and Northern Iraq,” Journal of Strategic Studies, Vol. 34, No. 4 (2011), p. 599. Serhat Güvenç and Cem Devrim Yaylalı, “Turkey Plays it Strait wth Russia on the Rise,” Warships Intrenational Fleet Review (May 2016), p. 14. See Deborah Sanders, Maritime Power in the Black Sea, (Farnham, Surrey: Ashgate, 2014). “U.S. Shelves Transfer of Frigates to Turkey,” Hürriyet Daily News, (6 January 2015). Bettina Renz, “Russian Military Capabilities after 20 Years of Reform,” Survival, Vol. 56, No. 3 (June-July 2014), pp. 61-84. “US, NATO Acknowledge Russian Kill of CFE Treaty,” Eurasia Daily Monitor, Vol. 8, No. 219 (2 December 2011). International Institute for Strategic Studies, The Military Balance 2014, 5 February 2014, s171. “Russia to target Turkey with anti-aircraft missiles,”Hürriyet Daily News, 17 October 2012.http://www.hurriyetdailynews.com/russia-to-target-turkey-with-anti-aircraft-missiles-.aspx?pageID=238&nID=32621&NewsCatID=338. Rick Gladstone, “Air Force General says Russia missile defense very serious,”The New York Times, 11 January 2016. A replenishment ship/oiler is a naval auxiliary ship with fuel tanks and dry Cargo holds, which can conduct underway replenisment on the high seas. “Barbaros Türk Deniz Görev Grubunun Afrika Seyri,” Savunma ve Havacılık, Vol. 28, No. 162 (2014), pp. 8-26. Lee Willett, “Back on the world stage: Russian naval power in 2013 and beyond,” Jane’s Navy International,January/February 2013, p.22-26. Piotr Butowski, “Russian bomber shown carrying ant-shipping missile in Syria”, HIS Jane’s Defence Weekly, 12 February 2016 (http://www.janes.com/article/57975/russian-bomber-shown-carrying-anti-shipping-missile-in-syria). See Barçın Yinnaç, “Turkey Wants to End NATO’s Refugee Mission in the Aegean,” Hürriyet Daily News, 2 June 2016. 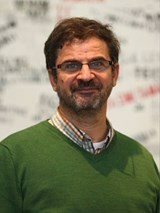 Dr. Serhat Güvenç is a Professor of International Relations at Kadir Has University.